Good afternoon, everyone! Just wanted to pop in super-quick. I’m not doing any writing at all today because I’m busy drowning in boring licensing exam hell for the day job. The nice thing is it’s all online for this particular exam. It’s just going to take me all day long, and maybe even into the night. I am hoping to be wrapped up before I leave the day job, but we shall see. On another note, I have a fun announcement to make tomorrow. 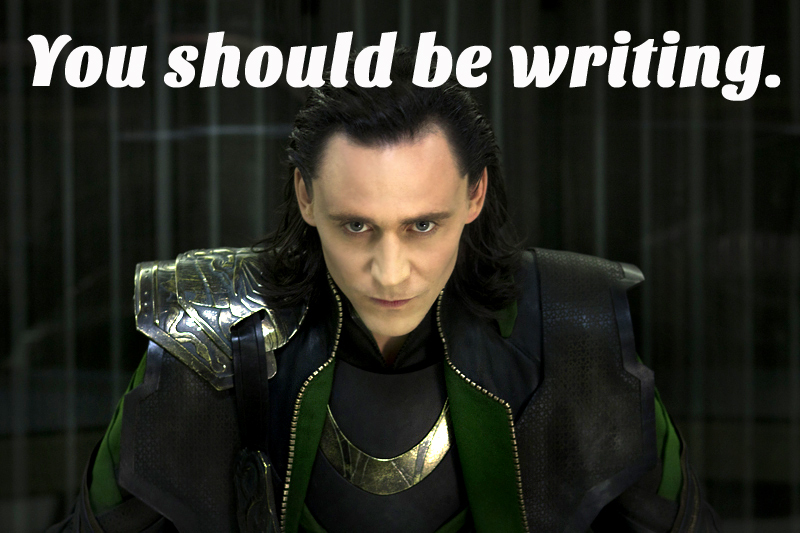 I know, Loki. I know. Next postYour sugary, sparkle-laden epidermis is showing. Plus, #GIVEAWAY!!! !